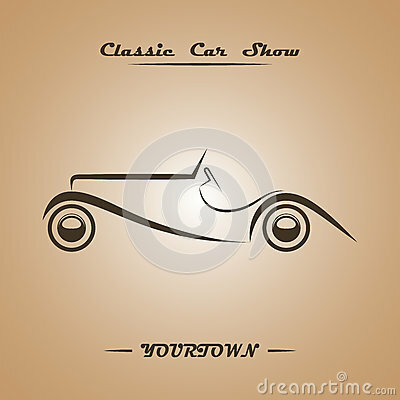 Classic car show poster concept. Silver over black. Vector illustration.